On the 25th anniversary of the unforgettable World Cup semi-final between England and West Germany, we put to bed one story that has grown over the years – that Bobby Robson was considering bringing on reserve goalkeeper and penalty specialist Dave Beasant for the shoot-out. As penalties loomed between Costa Rica and the Netherlands in the World Cup quarter-finals last year, Louis van Gaal brought on Tim Krul for Jasper Cillessen. BBC co-commentator Danny Murphy made reference to how Bobby Robson had toyed with doing that during the Italia ’90 semi-final by considering bringing Dave Beasant on for Peter Shilton. Suddenly, Twitter was awash with people claiming they had urged Robson to make that change 24 years earlier and effectively blaming the now deceased former manager for not going ahead with it. Italia ’90 was the last World Cup at which just five substitutes could be named and Beasant was not one of them, with regular substitute goalkeeper Chris Woods claiming the place on the bench. 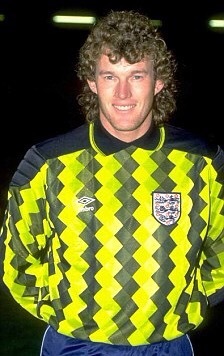 Beasant was not even named in the original squad, being drafted in for the injured David Seaman after the tournament began. He was never realistically going to feature for England during the finals. England’s previous two matches came close to needing penalties and Beasant wasn’t in the fray for those either. Besides the fact it was impossible for Beasant to come on that night, there are other reasons why such a change was never really on. With hindsight it may seem that the change should have been made, but one can understand why Robson wouldn’t have done so at the time. The first reason is 40-year-old Shilton was the undisputed number one, whose place in the England side was pretty much unchallenged under Robson. Despite his advancing years, Shilton had been praised by pundits for his display against Cameroon in the quarter-finals. Hauling him off in such a big match was – in that era at least – inconceivable. Although much is made of the fact Shilton had a poor record when it came to saving penalties, it should be considered that only three of the last five spot-kicks he faced when playing for England had been scored (one was saved, another missed). That sort of record in the shoot-out would give England a strong chance of a win. The second reason is there was a clear hierarchy in place when it came to England goalkeepers. While Shilton was the unchallenged number one, Chris Woods was unquestionably second choice with anyone else a fairly distant third. 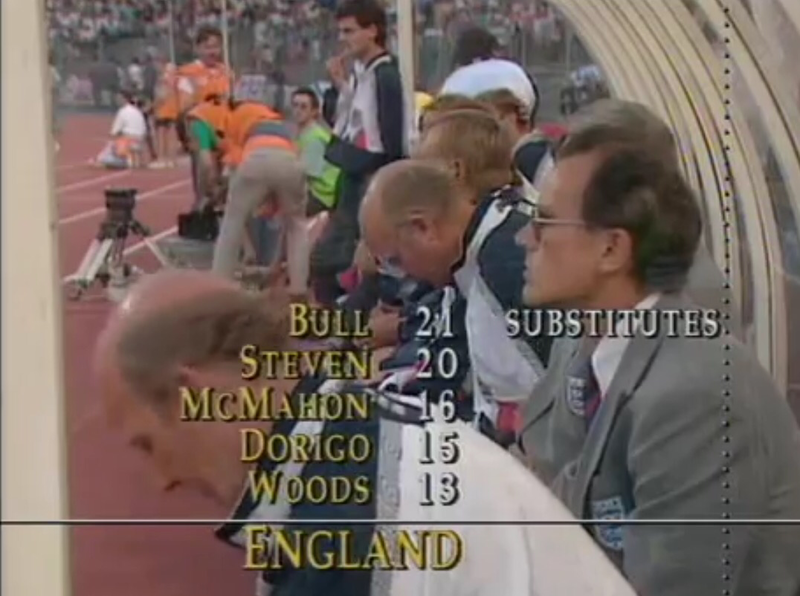 Shoving Woods aside and then substituting Shilton so Beasant could come on in such a big match could have left Robson with two unhappy goalkeepers in the build-up to the final if they won. While it’s easy to say there is no room for sentiment in football, Robson was generally loyal to his core group of players. It is rarely suggested Woods should have been brought on for Shilton, probably because he was smaller than Beasant and less renowned for saving penalties. The third reason why such a change was unlikely is that England had never been involved in a shoot-out before and there was little to suggest things would probably go wrong. As mentioned above, Shilton was not renowned for saving penalties but nobody could be sure how things would pan out against tired players who had run around for two gruelling hours. Penalty-shoot-outs were still a relative novelty and the psychology of them was not analysed to the same extent as today. Had it been more common for goalkeepers to be substituted ahead of shoot-outs, then one suspects it would have been far more an option for Robson. Peter Shilton was continually unable to reach the penalties taken by West Germany. While there’s no argument about the quality of the German penalties, the claim nobody would have saved them has been questioned. Shilton was probably guilty of waiting too long to see which way the Germans would go before diving for them, in a World Cup where there was a growing trend for spot-kicks to be aimed straight down the middle after goalkeepers had moved. He continually went the right way, but too late. Beasant’s penalty saving reputation has really emerged by denying John Aldridge in Wimbledon’s famous FA Cup Final win over Liverpool in 1988. Would he have denied the Germans in a World Cup semi-final-final? We will never know. In today’s football climate, one suspects the change would have been made. It happens more frequently than 25 years ago, it probably wouldn’t have been seen as such an insult to Shilton and both reserve goalkeepers would be on the bench. There have been a few instances in both domestic and international football of teams bringing on another goalkeeper in time for the penalties – often followed by triumphing. It can give a psychological boost as much as anything. P.S. Well done on an excellent site. Very nostalgic and enjoyable even for a 40-something Scotsman like myself !